This topic contains 8 replies, has 7 voices, and was last updated by dinhphuong569 4 months ago. Be sure that your feedback and constructive criticism are being taken very seriously by our team, and we will continue to work to improve the products and enhance your experience. If you wanna put in a feature request, please submit at Suggestion Box section. Just to be clear, you want $130 for the Argus 2 camera and another $30 for the solar charger? I think $160 is a bit expensive. You may subsribe to us at the bottom of the page for News & Deals. Some products will be on sale on holidays seasons. i researched security cameras for months and decided on these Argus 2 for several reasons: 1. they would be simple to install ANYWHERE — loved the magnet concept 2. they can be watched – streamed or playback video – via almost any device, where many competitors did not allow this kind of viewing options. 3. there was the rechargeable battery option as well as solar panel…HELLO (though it’s an expensive set up). 4. these are easy to secure to trees and come with all the charging cords, hardware, and brackets/templates needed. 5. the APP & software was intuitive 6. the responsiveness of custy support seemed relatively immediate (though that has not been my experience) from reviews i read. 7. 130foot field of vision. 8. reputed excellent night vision clarity to 33 feet. among other reasons, and for my purposes, they clicked all the right boxes. i have now invested over $600 in your products. however, either the camera range is misrepresented (which is what is suspect) or the tech in these is geared more to sensitivity to motion within a close proximity. for example, i get push notices when i leave my yard through the front gate and it records me walking all the way down the sidewalk or where ever i go for up to the 15 seconds i have it set to, like putting trash out to curb. however, coming the opposite direction into my gate, it only picks me up once I am immediately in front of the camera. it only once caught the mail carrier who comes daily. another example was when i filled the bird bath in my back yard. it did not pick that up at just 25 feet but in the cameras field of view. after, i walked up around the camera to check for glass shards, and it turned on then, when i was right next to it, then kept recording. that does not help someone looking for security as it’s only triggered once someone is on the camera. i believe someone could easily grab the camera and run off and i’d never see it or them. my car is 50 feet away so in daylight, it should be easy to “trigger” video should someone want to vandalize it. but i have never had it trigger someone 50 feet away and walking their dog. and a fox even took the time to relieve itself on my sidewalk and was not picked up. at night, i know these cameras are only rated for 33 feet, so i may need to move this to the front tree, which will protect the Jeep in all lighting and catch the fox visiting my feral cat feeder. but the camera is really not performing as it was in the 25 videos that i watched. i never thought i’d be the kind of person to get cameras, but i liked the idea of some way to keep an eye on the house while i was away. or to watch the wide variety of wildlife who visit my yard. but, i need them b/c someone is trespassing in my back yard. since March 2018, the someone (i suspect my neighbor who threatened to kill my dog b/c she barked at him vandalized my car, and threw twigs, leaves) has been tossing GLASS SHARDS onto my property. my yard is completely fenced, i have a guard dog who barks as much or less than other neighbor hood pups, so that’s not it. but the shards are there every few days. in the over 13 years i have lived in this home, i have found several shards, like 10. but since March, the lunatic is throwing tiny to small to medium and even a few very large shards where the dog can run over them or i can step on them and get cut. on June 7, the day the cameras arrived, i installed one camera on the back tree in the corner where i have been finding a piece of mirror or glass every 2 to 3 days. by the 10th of June, i had installed a second on the back yard fence looking straight down at the fence on the side i believe the glass is being tossed. this camera picks up the horrible neighbor who has leaned all kinds of things and is causing my fence to collapse. but it has not caught him in his yard doing anything but taking a plant and setting on his garbage can for rain and sunshine. he keeps him mower in the shed in the back yard – usually – yet neither camera picked up when he got the camera from the shed to cut the grass. yet, the front yard camera picked up while he was mowing. okay, that was cool but since June 7, i have found glass 3 days. there is no way to know when the glass was thrown, but there were brand new shards in the middle of my yard and rear of the yard, which is typically where they are at. the side yard camera is just about my favorite since it lets me know the dog is there, or when it alerts me, i can live feed and see if someone else is there. i have heard someone in the side or back yard multiple times so this is a good option for that. but it won’t tell me if someone is coming down the sidewalk, it will only provide notice one the dog is right in front of the camera. so again, this seems to be a bit of a misrepresentation of the units capabilities. this just may not be the right cameras for my needs, or else i need to move them to better capture the images i need them to. but i do not think they work as advertised and that Reolink misrepresents what they can do. they do not pick up images until someone is on top of them. i can share a great video of a squirrel eatin nuts i put i front of it. but if it will not trigger motion on my sidewalk 50 feet away it’s not helpful. and how does it miss the mail man who puts mail in the box directly below the camera. or how did my neighbor walk the 50 feet through his back yard to get his lawn mower and not get picked up. field of view is not helpful when it is not triggering a recording for someone putting nails into my Jeep tires 50 feet away. and lastly, how is it that i lost my sound on all four cameras despite having the “encode” tab on. this is only day 7 with them. it rained once! really pretty disappointed and do not believe, for the expense, that you should call these security cameras. as far as my experience with custy service, waiting 3 -4 days for a reply is really not helpful. if i waited that long to respond to parents at my school, i would be looking for a new job. when they do reply they’re helpful, respectful and ask clarifying questions, but then you won’t hear back for another 3 days. kind of moot. Hi, Just a suggestion for the live feed camera display page of the Android phone app. you could give the user the option to increase the size of the font? Please update this story. Did you get the cameras working as needed? Did you catch who was doing all the evil things to your property? Gabriella, I have a similar concern as you. 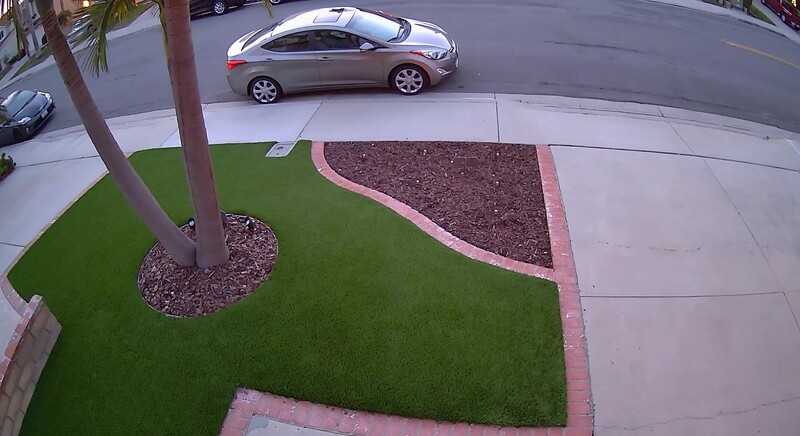 I bought a Reolink Argus 2 with a solar panel to replace an existing Arlo Pro camera that overlooks my front yard and 20-foot driveway toward the sidewalk and my car parked on the street. I bought the Argus 2 because I read that it can sense motion up to 30 feet, but that has not been my experience. I have tried all possible settings on the camera but it fails to capture any foot traffic (people, dogs, etc.) walking across the field of view on my yard or the sidewalk 20 feet away, only passing vehicles on the street in the background. I can only surmise that the PIR sensor is defective even though the Reolink website states: “130° wide angle and highly sensitive PIR motion sensor offer almost no false alarms. No human movement can slip through without your notice.” This camera seemingly cannot detect any motion unless you are within about 5-10 feet of it. The audio also is noisy, with a lot of static that I don’t get with my Arlo Pro. I am beyond frustrated with this and the fact that there is no toll-free 800 number to call in the U.S. for help.